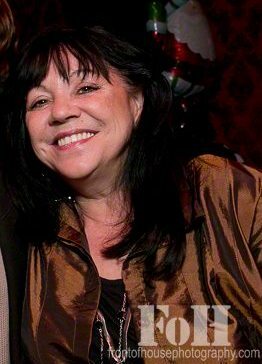 My name is Roxanne Tellier, and I live in a suburb of Toronto, Ontario, Canada. Yes, I’m a proud baby boomer, a wife, a mother, and a grandmother. I have been a writer and musician all of my life, which has necessitated working at a myriad of occupations, from ‘joe jobs’ to corporate positions. I am interested in nearly every subject, although I try to keep my mind focused on the things that matter. Still, when my poor old brain can’t take any more, I’ll wile away the hours playing computer Mahjong, or guessing quiz answers to obscure pop trivia. And then enjoy a marathon of obscure British telly. My personality is divisive; some will enjoy what I have to say, while others may only find a few of my posts of interest. And that’s the way it should be. We’re each of us only human, prone to banality and brilliance, with many stops between the two extremes. I hope you’ll find something of interest in my ramblings and rants. I maintain a rather .. ahem .. high profile on Facebook. There are a lot of links to cat videos, along with my impassioned political rhetoric. (you’ve been warned. 😉 )And, oh yeah … lots of musical links. Some people have asked if I have any music available on the ‘net. Thanks for asking! The CD is also available for download at CD Baby. For physical copies of the CD, you’ll need to contact me. I’ve made slideshows for two of the 4 songs on the EP. I just found your blog and wondered if you can tell me where I might be able to find a copy of the “Christmas and Snowbound in the Treasured Past” story? I have been searching online everywhere and can’t find it. Is it in an old Ideals magazine, and if so, do you know which one? Normally, I google things and find them right away, but this one, I can’t seem to find. Thanks for any assistance you can provide. Hi! I’ve been looking for that book for over 50 years .. so if you find it, let me know! 😉 It really was a wonderful book. Will do! I heard they have it an old Ideals magazine, but I’m not sure which one.